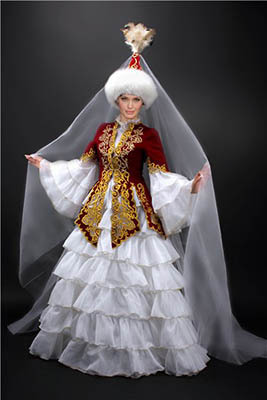 Traditional national costume of any country has always been the epitome of local beliefs, legends, history and culture. 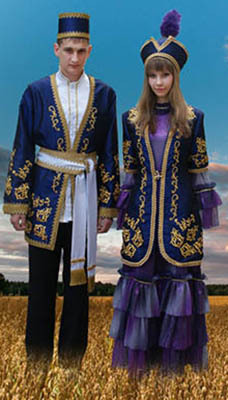 Was no exception and the Kazakh national costume, created for years in harsh conditions steppe nomads. 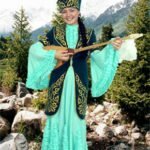 Kazakh traditional costume, seasoned cold winds and hot sun, is the best way of material culture of the people who was able to defend its independence. 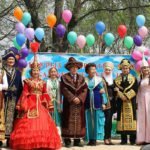 It’s no secret is the fact that the national costume has played a significant role in the development of national consciousness of the Kazakhs. 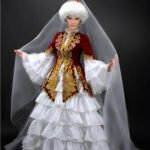 Ethnographers have noted that the Kazakh traditional costume has no distinctions based on a person belonging to a particular social class, but there are fine details that distinguish the suit, designed for people of a certain age or gender. Other outerwear for special occasions. 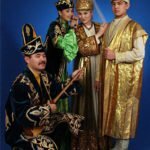 Long-term studies of various archival documents leads to the conclusion that the leather industry in Kazakhstan has reached unprecedented heights. 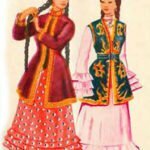 For example, written records, dating back to 1582 year, saying that the Kazakh leather actively sold in Bukhara is more expensive than the best examples of Uzbek clothes. All this allows to speak about high competitiveness of products from Kazakhstan. Ladies‘ dresses and so on. 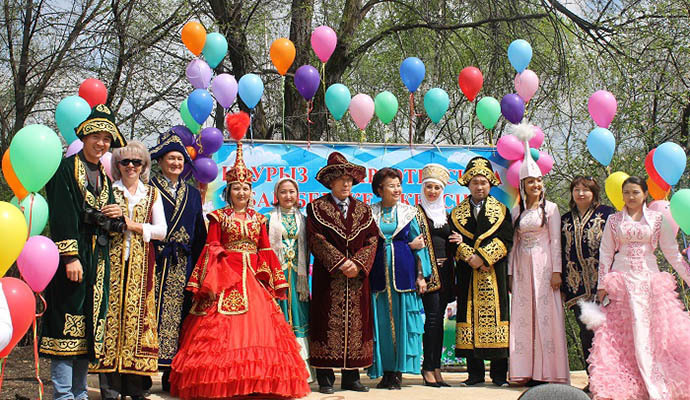 For example, truly wealthy Kazakhs could even in inclement weather to wear a lot of gowns. 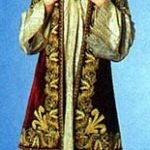 This was put on the bottom most simple robes, which were worn on top of the ones that were the most lavishly decorated. 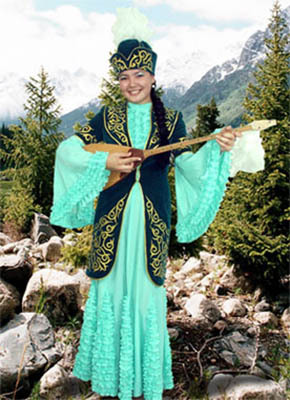 For many centuries, the Kazakh traditional costume is rich decorative trim. Regardless of gender or social status of its owner, the suit has always had to have a certain amount of decorative materials. For example, actively used lurex embroidery or beads. It is also particularly popular variety of belt decorated with buckles made ​​of precious metals or stones. 8. Pearl and So hereinafter. 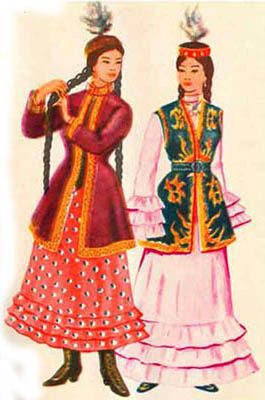 As the main outerwear women in Kazakhstan used a fairly broad bathrobes ( „Sapa“), supplemented with long sleeves. These gowns can be warm, equipped with a wool lining, and light. If the region has come a really harsh winter, the women were getting out of the closet coats made ​​of fur, which are called „coupe“. 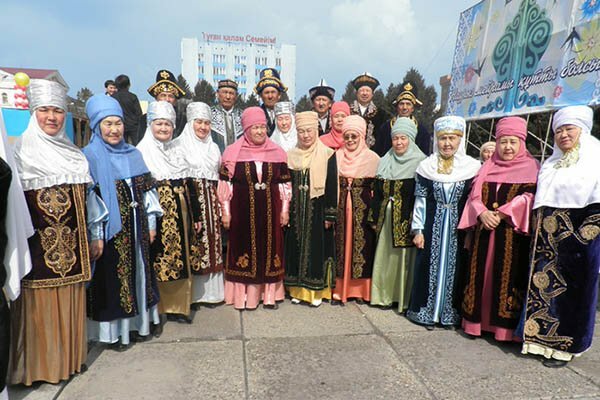 In contrast to the national headgear, which was not accepted to give, bathrobes Kazakhs are willing to donate. 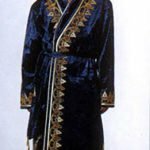 That is why there is even a belief that this robe can protect its owner from various misadventures. 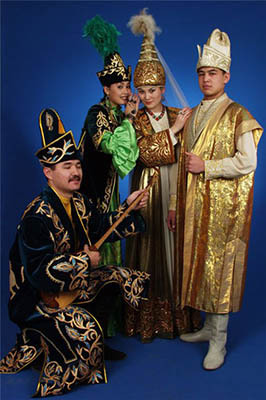 Unfortunately, the traditional Kazakh costume becoming less common on the streets of big cities and towns.Generally, traditional furniture can be seen in various museums and private collections. A pleasant exception is national holidays, when people wear traditional costumes.